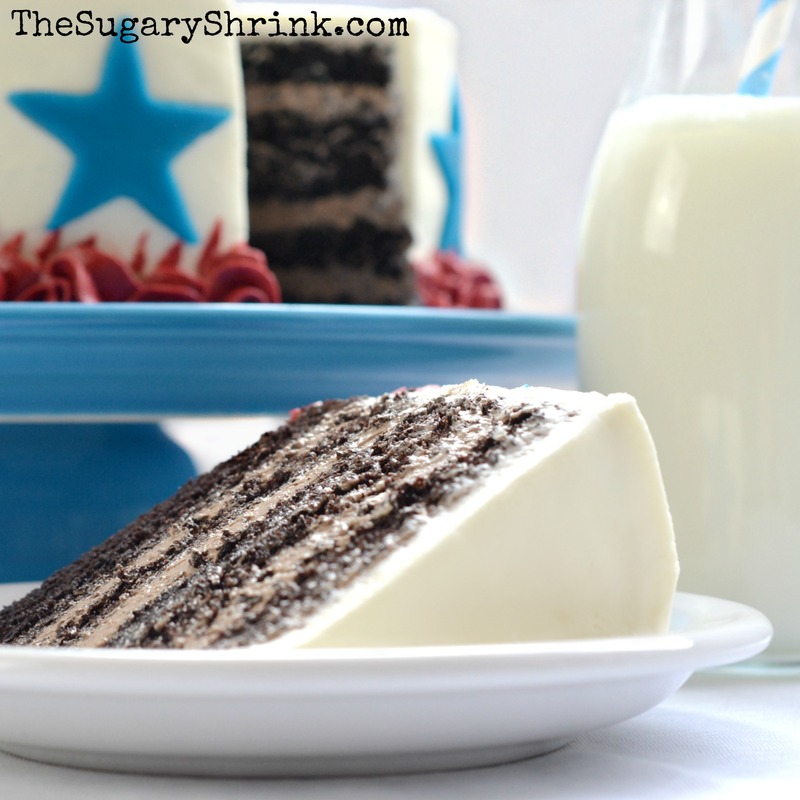 Nothing says the 4th of July quite like a red, white, and blue Chocolate Layer Cake! 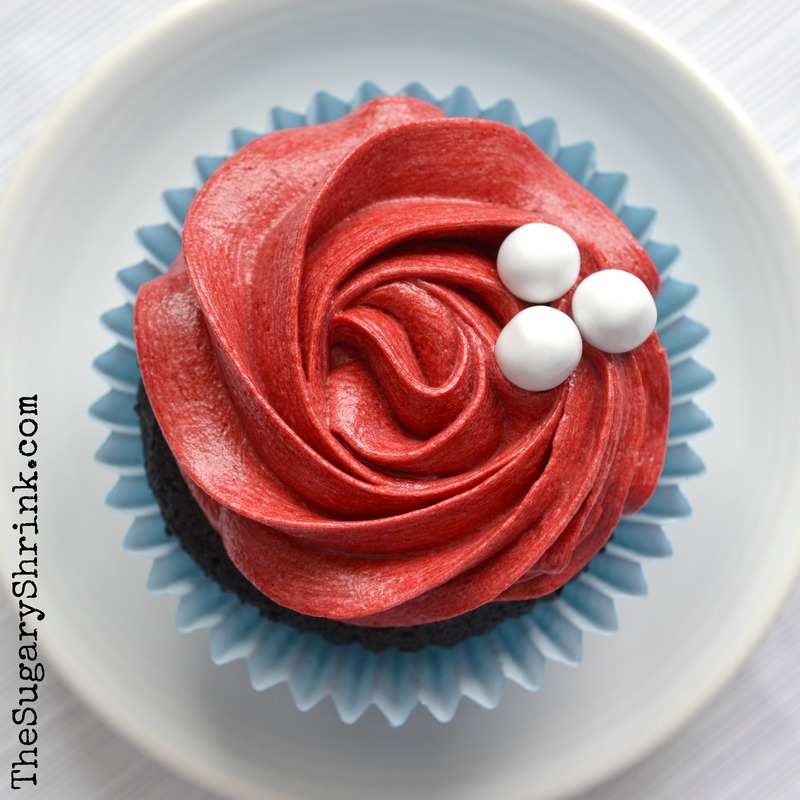 When it comes to cakes and cupcakes, I love a holiday that offers so much inspiration. And doesn’t Independence Day come fully loaded with themes and ideas? 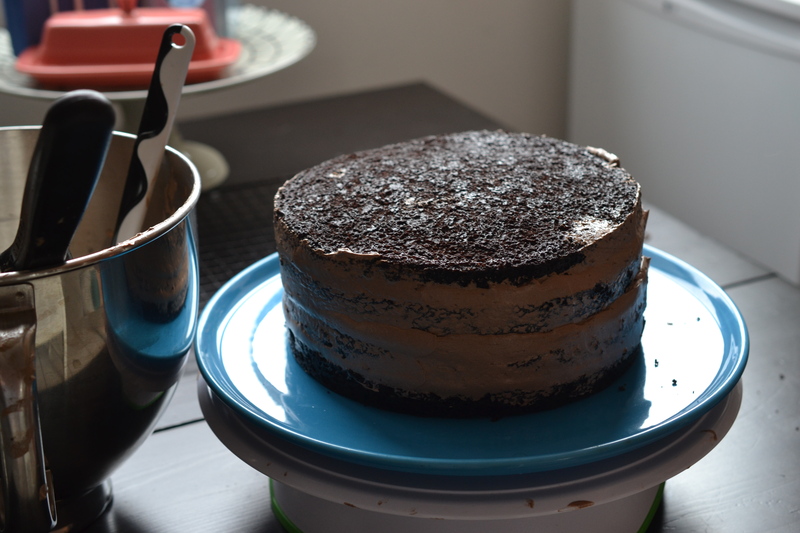 I wanted to take a little side trip from my favorite triple-layer cake, but two layers just wasn’t enough. 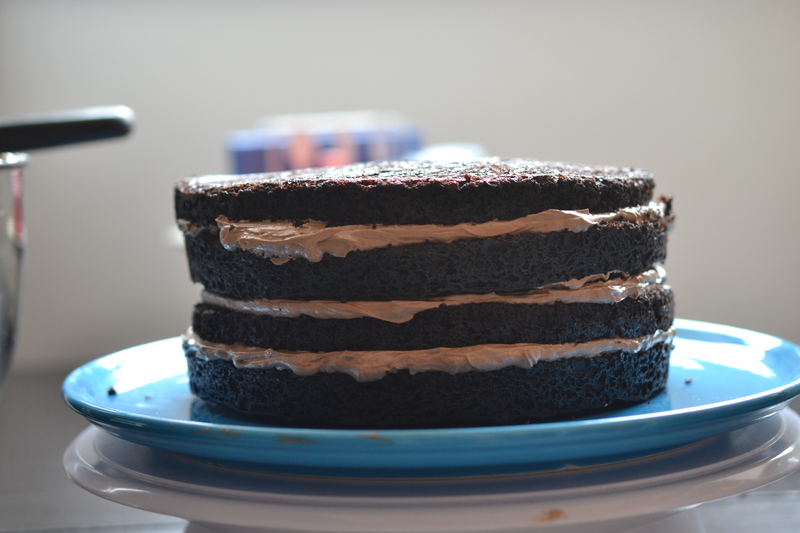 By splitting each layer, we get four layers of chocolatey goodness and additional Swiss Meringue Buttercream. Oh yeah. That’s a great decision. 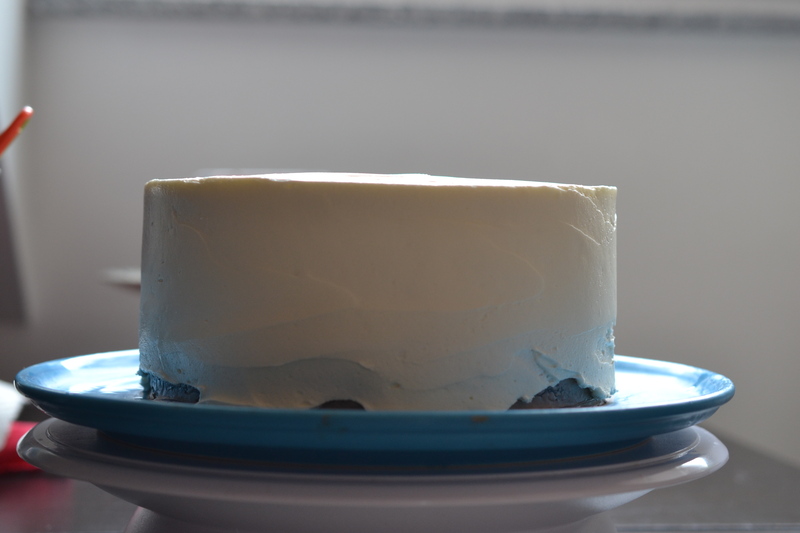 I started by rolling out my blue marzipan and using a cookie cutter for the stars… the day before. 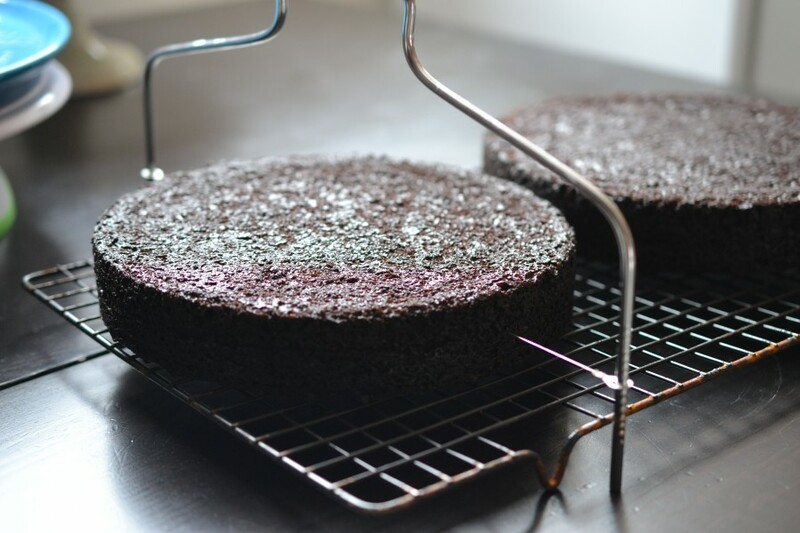 I knew I’d be pressed for time during the baking and decorating process, so having them ready to go was really important. 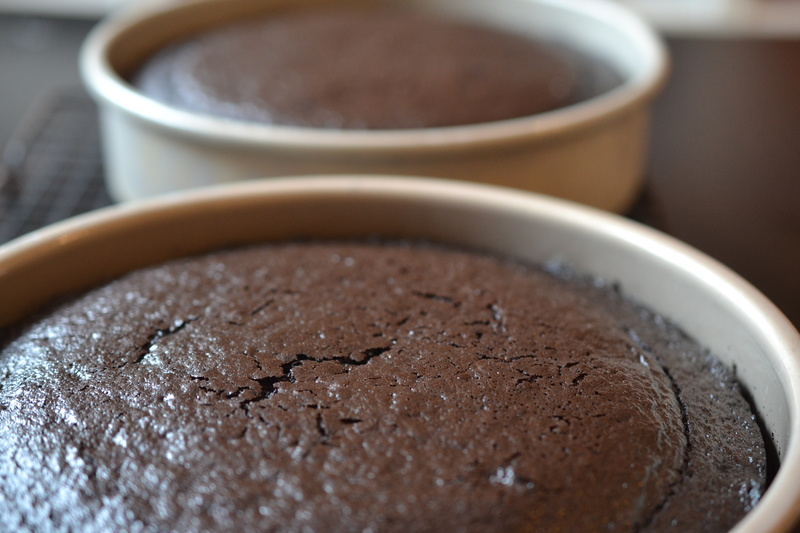 So, let’s bake a cake. 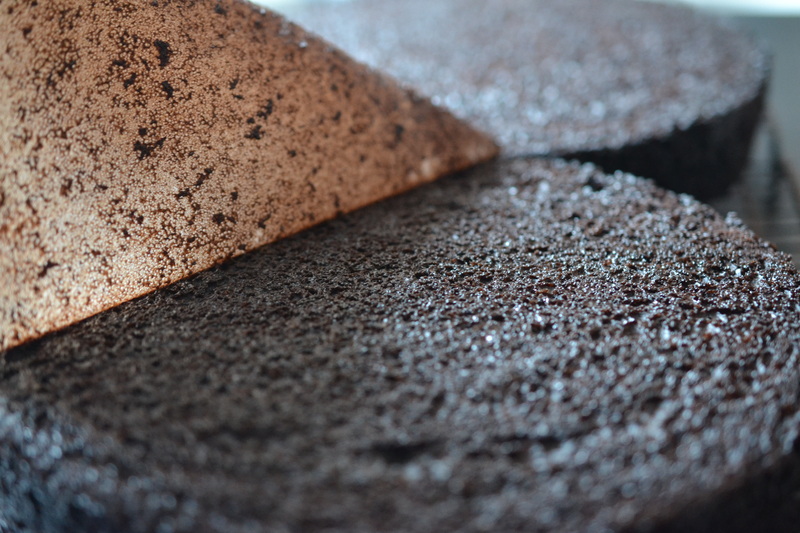 As much as I grumble about the parchment paper, the benefits can’t be denied. 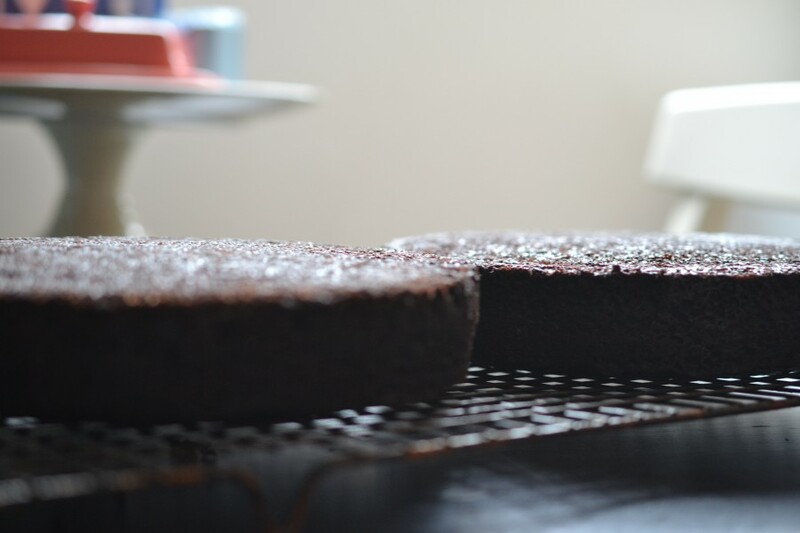 I never worry about a cake round releasing from the pan and that’s a good feeling. Time to build. I used three scoops of SMBC between each layer. All that yumminess was pretty amazing. Despite the wonkiness of this look, the cake held together very nicely. 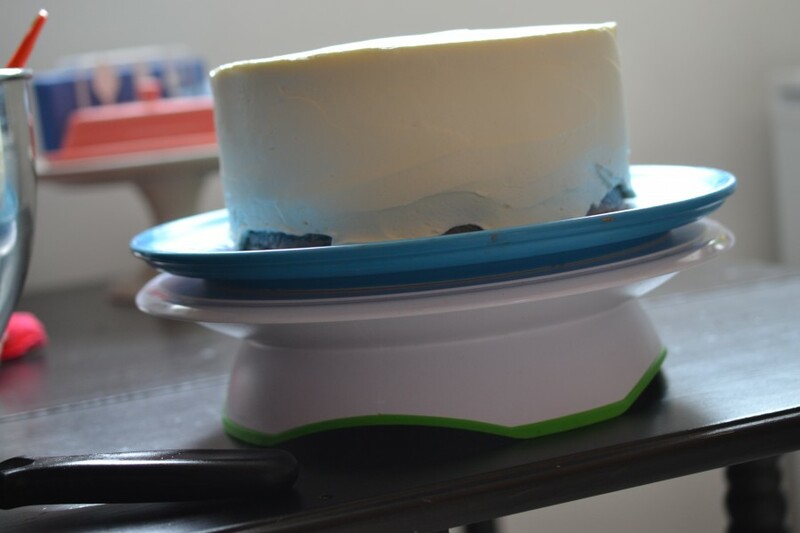 If you’re unsure of your own cake slip-sliding apart, send a dowel down the center of the cake or use three dowels in a triangular pattern for added stability. 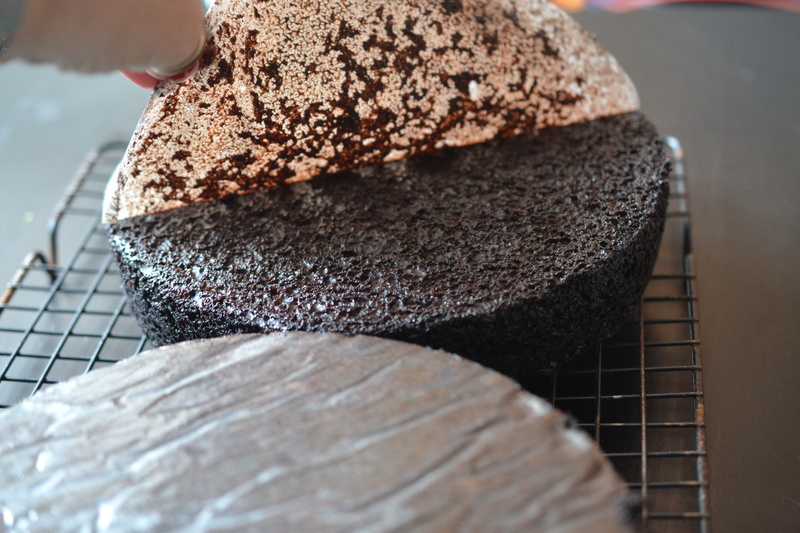 I use bubble tea straws when I dowel a cake (I buy them online). 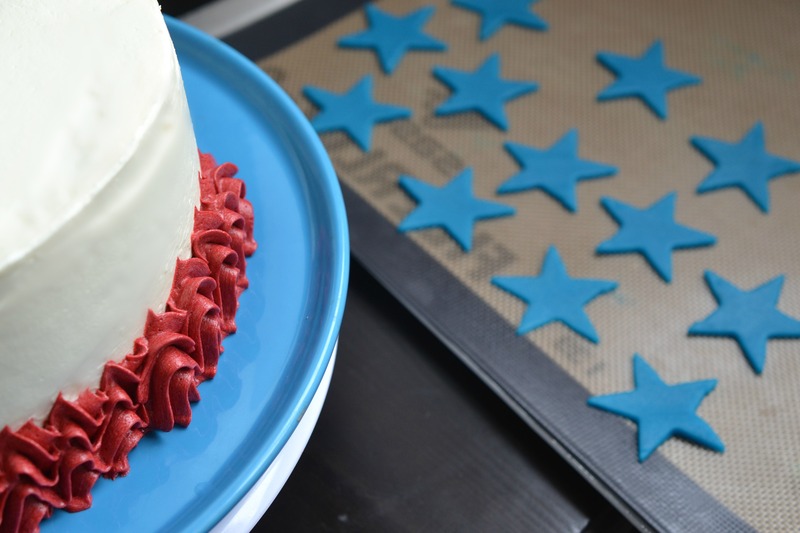 I definitely wanted a white frosting in order to highlight the blue stars and red border. 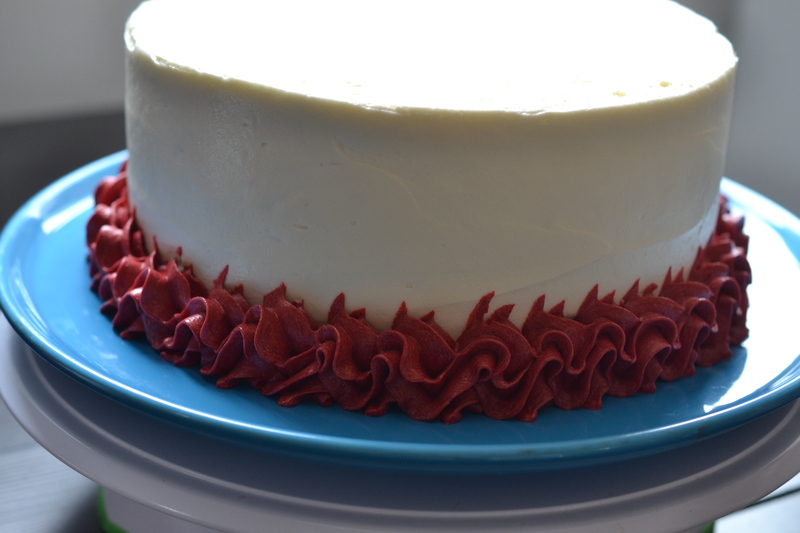 Getting a really red red with buttercream is a challenge for me – made worse when trying to add color to SMBC (due to more butter than powdered sugar). 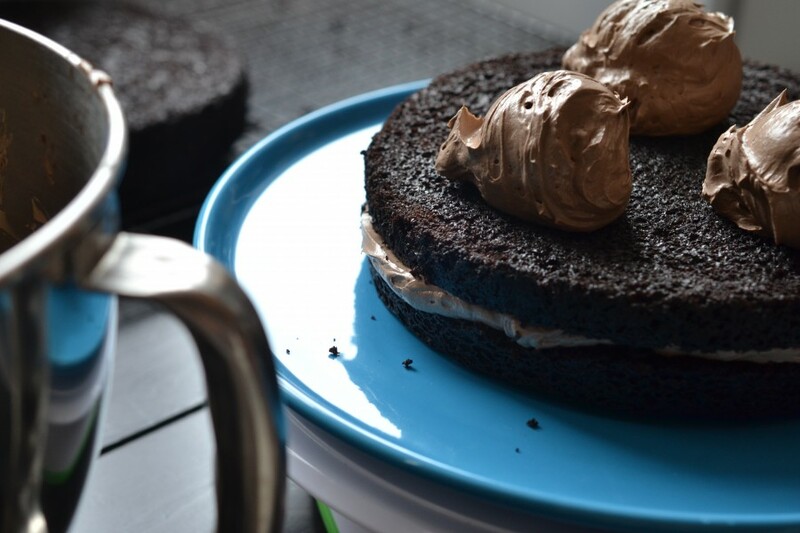 This is why I chose American Buttercream – the abundance of powdered sugar helps in achieving darker colors. I used food tinting gel, added a little bit of liquid food coloring, and just a teeny tiny drop of dark blue. It helps deepen the red without getting all the way to purple. Time to add the stars. 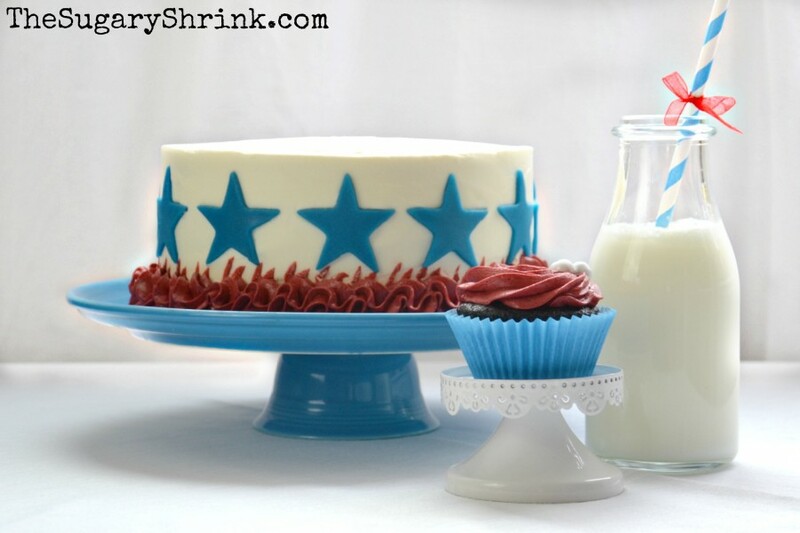 I couldn’t have hoped for a more perfect match of stars and cake plate. This is a 12″ Homer Laughlin Fiesta Dinnerware Cake Plate in Peacock (a recently retired color). I could look at this all day. 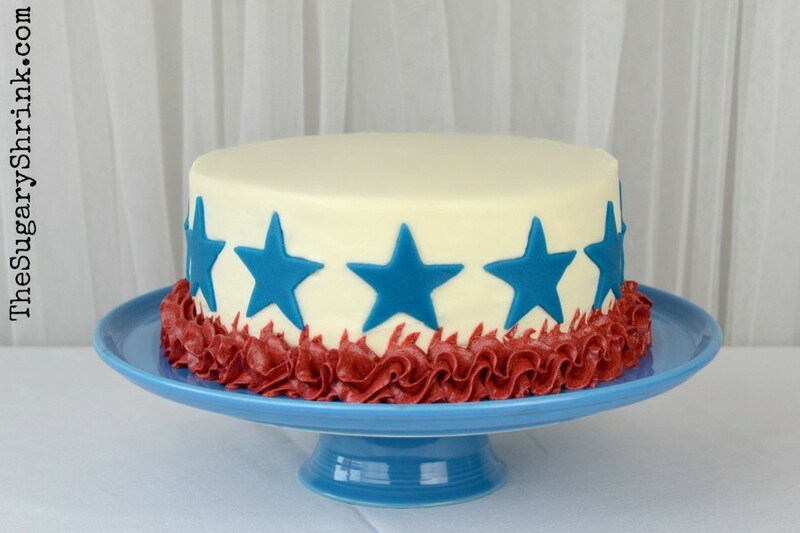 Admittedly, when I was placing the stars on the cake …it felt a little like a Dallas Cowboys Cheerleaders moment. I really kinda love this cake. It might look simple, but it was a good challenge for me. And the four layers on the inside? A delicious surprise! 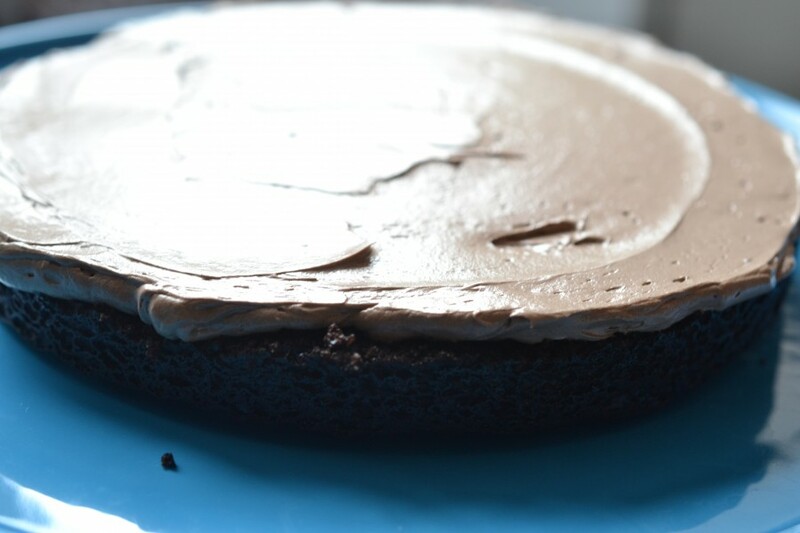 Take this cake to an event, party, picnic, or gathering… it’ll disappear. And why shouldn’t it? 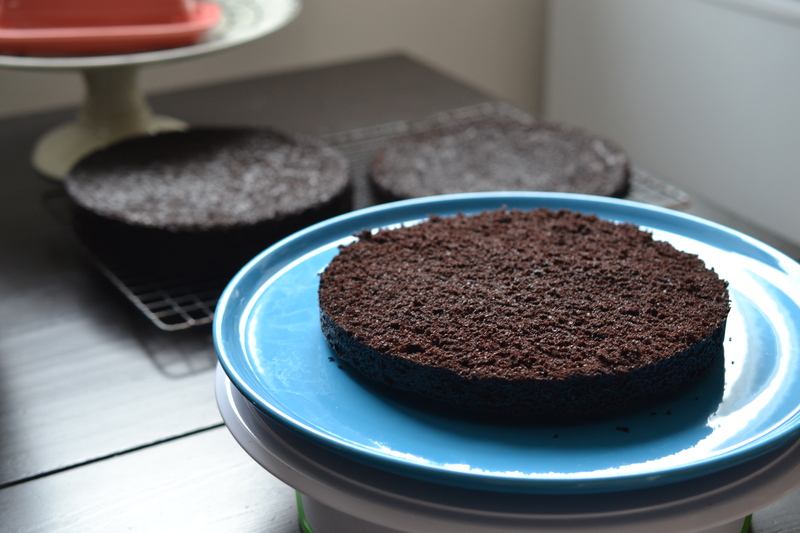 Chocolate cake is comfort food and I don’t care about the reasons. I’m crazy lucky for my life partner husband and his goodness. I’m crazy lucky for the people we raised up and their partners, for they are active in our lives and that’s ginormous. I’m crazy lucky to have found a home group and a sponsor when I first got sober – they loved me despite myself. 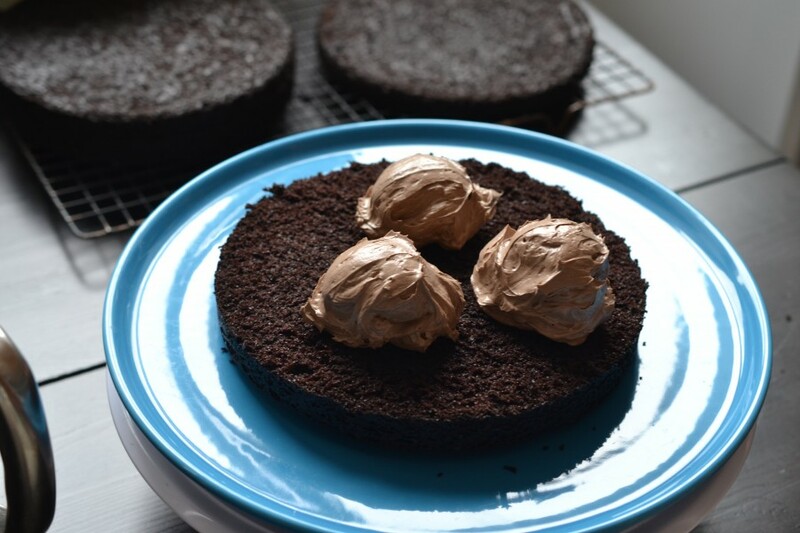 And because chocolate cake… I made a cupcake too.